Yves Rocher Stylo Regard Waterproof Pencil creates a graphic makeup, which intense and radiant. Its soft, protective, Chamomile extract-enriched texture offers a gliding application as it emphasizes the look of ultra-intense color. Creamy and comfortable, it goes on evenly and blends easily. Explore the entire range of Eyeliner available on Nykaa. 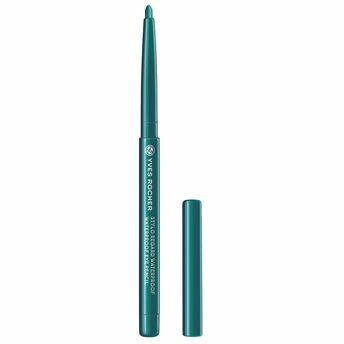 Shop more Yves Rocher products here.You can browse through the complete world of Yves Rocher Eyeliner .Alternatively, you can also find many more products from the Yves Rocher Stylo Regard Waterproof Eye Pencil range.